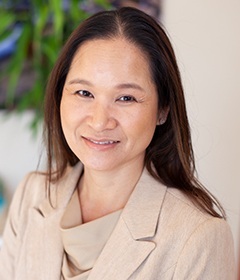 Outside of work, Dr. Nguyen has two teenage children whom she loves spending quality time with. You can regularly find her at their activities and sports events – her son is passionate about soccer and her daughter loves volleyball. She is also a big traveler and has visited many countries. Reading is a big hobby as well.